Josh Peckler - Jpeckler@shawmedia.com Brianna Hansen, 9 of Crystal Lake runs towards a ball as her father Pauls watches on at Merryman Fields Park Sunday, June 24, 2012 for the Woodstock Little League Challenger Baseball Division. 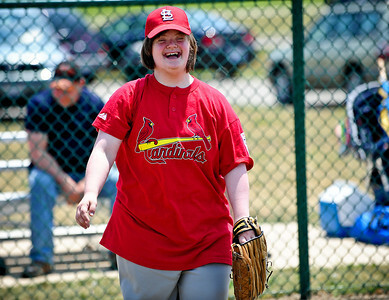 The Challenger Division allows boys and girls with physical and mental disabilities to enjoy the game of baseball. Josh Peckler - Jpeckler@shawmedia.com Katie Thomas, 6 of Bull Valley uses a unique style while warming up hitting at Merryman Fields Park Sunday, June 24, 2012 for the Woodstock Little League Challenger Baseball Division. 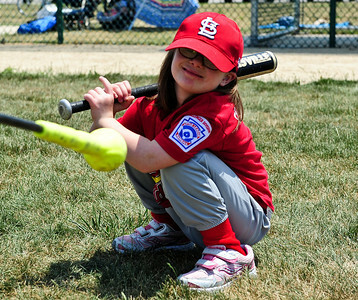 The Challenger Division allows boys and girls with physical and mental disabilities to enjoy the game of baseball. Josh Peckler - Jpeckler@shawmedia.com Mason Schalund, 6 of Wonder Lake (left) waits for a ball in the infield with buddy Joanna Watson of Woodstock, 12 at Merryman Fields Park Sunday, June 24, 2012 for the Woodstock Little League Challenger baseball Division. 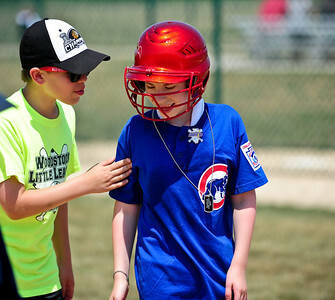 The Challenger Division allows boys and girls with physical and mental disabilities to enjoy the game of baseball. Josh Peckler - Jpeckler@shawmedia.com Evan McKay, 5 of McHenry swings at a ball on a tee while playing baseball at Merryman Fields Park Sunday, June 24, 2012 for the Woodstock Little League Challenger Baseball Division. The Challenger Division allows boys and girls with physical and mental disabilities to enjoy the game of baseball. Josh Peckler - Jpeckler@shawmedia.com Alissa Weise, 20 of Crystal Lake lets out a big smile as she warms up playing catch at Merryman Fields Park Sunday, June 24, 2012 for the Woodstock Little League Challenger Baseball Division. 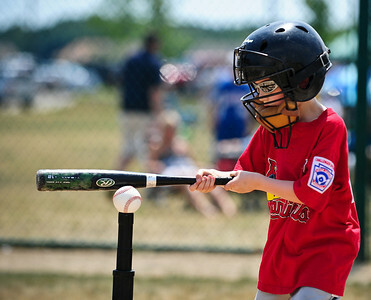 The Challenger Division allows boys and girls with physical and mental disabilities to enjoy the game of baseball. Josh Peckler - Jpeckler@shawmedia.com Dylan Krambeer, 10 of Crystal Lake (right) is congratulated by his brother Ryan,12 after getting a hit at Merryman Fields Park Sunday, June 24, 2012 for the Woodstock Little League Challenger Baseball Division. The Challenger Division allows boys and girls with physical and mental disabilities to enjoy the game of baseball. Josh Peckler - Jpeckler@shawmedia.com Nikki Durante, 12 of Woodstock (left) runs with buddy Emily Leclair of Wood Stock at Merryman Fields Park Sunday, June 24, 2012 for the Woodstock Little League Challenger Baseball Division. The Challenger Division allows boys and girls with physical and mental disabilities to enjoy the game of baseball. Josh Peckler - Jpeckler@shawmedia.com Jacob Kotecki, 14 of Crystal Lake throws a baseball back to a coach at Merryman Fields Park Sunday, June 24, 2012 for the Woodstock Little League Challenger Baseball Division. The Challenger Division allows boys and girls with physical and mental disabilities to enjoy the game of baseball. Katie Thomas, 6 of Bull Valley uses a unique style while warming up hitting at Merryman Fields Park Sunday, June 24, 2012 for the Woodstock Little League Challenger Baseball Division. 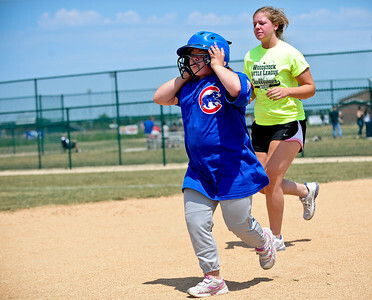 The Challenger Division allows boys and girls with physical and mental disabilities to enjoy the game of baseball.